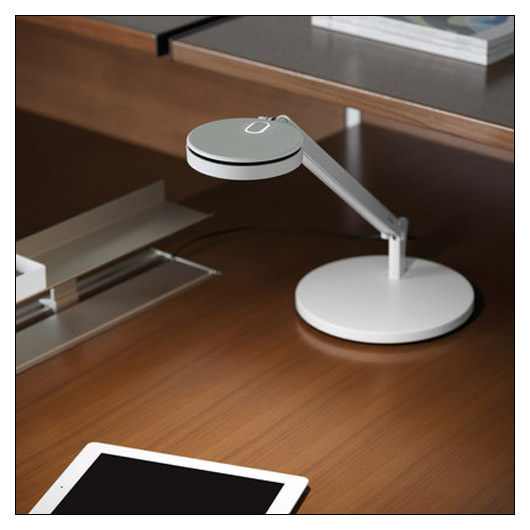 Steelcase dash mini LED Task Light (SCDASHMINI) at Pure Design / Tables and Desks / Desktop Accessories ::: Furniture for the Home, Office, Home Office, and More at Pure Design Online! Maximum light. Minimum space. The new dash mini, the smaller of the two dash LED task lights, combines optimal light pool achieved through superior optics technology. Ships to "lower 48" United States only. Please allow 2-3 weeks to ship.